← Is your Domestic Solar Panel Installation actually a little Electricity Power Plant earning income from the Feed-in-Tariff? The fund gives grants to fund energy saving projects in rural communities. Photo credit: Bere Architects. Last week DECC announced that £15 million worth of funding will be made available to support English rural communities in creating their own renewable energy plants. Known as the Rural Community Energy Fund, or RCEF for short, the fund will supply communities with up to £20,000 of grant money to undertake feasibility studies to determine the suitability of local areas for different renewable technologies. Once these have been completed, communities can apply for a loan of up to £130,000 to start the ball rolling on the installation, with the loan helping out with initial costs such as getting appropriate environmental permits and planning permission. The intention is that your project will then be in a position to attract private investment which will fund the building of the installation itself. The RCEF funding can be used to set up almost any kind of renewable energy generation, including Solar PV, Solar Thermal, Biomass, Anaerobic Digestion and Combined Heat and Power. Previously funded projects include the Woolhope Woodheat Community Project which uses local wood to provide heating for the community. 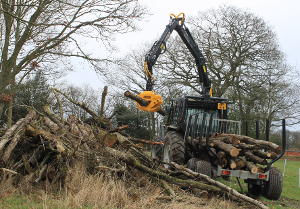 Previously communities could apply to the Local Energy Assessment Fund (LEAF) which launched in 2011 – this fund helped create 236 community energy projects across England, including Woolhope Woodheat Cooperative’s biomass project that supplies heating to the community using locally sourced wood. Communities can apply to the RCEF even if they received funding under LEAF. There’s no deadline for submitting an application for the scheme, but it’s probably best to get in there as soon as possible while funding is still available. If your community group is interested in the scheme, you can apply for the Rural Community Energy Fund on WRAP’s website here. 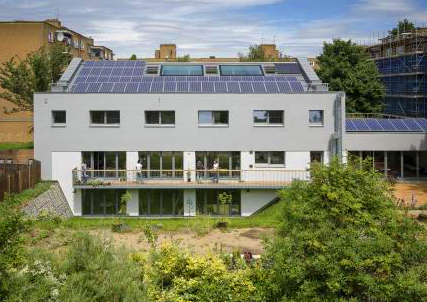 Renewable energy generation isn’t just for community energy plants – you can make renewables work for you in your own home too, with a range of system sizes and technologies to suit your energy needs and save you money. Why not complete our quick, free online energy assessment to see how much a renewable energy solution could save you on your energy bills? This entry was posted in Grants, Offers & Funding and tagged Government funding schemes, Rural energy saving. Bookmark the permalink.